Finding the right Valentines day gifts for boys can be really tricky. There are tons of girls ideas out there but not nearly as much for boys. 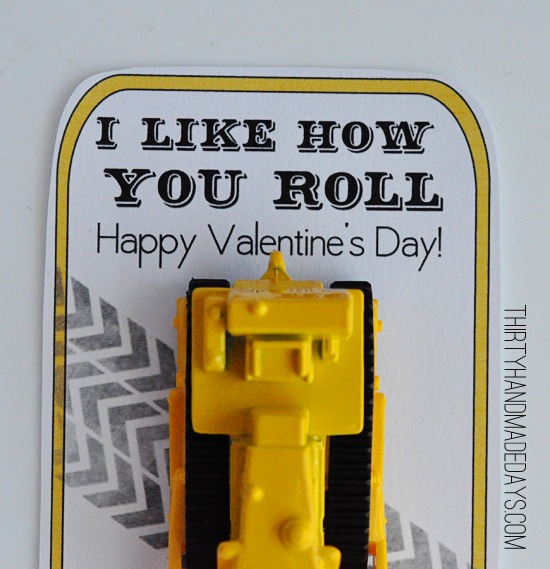 This “I like how you roll” printable valentine is perfect! I was out shopping and found this inexpensive bulldozer . I knew that most boys would be excited about it. Especially my nephews. They are obsessed with cars, dozers, etc. You could use a car, a truck, a bike, a motorcycle- pretty much anything that rolls. The options are endless. 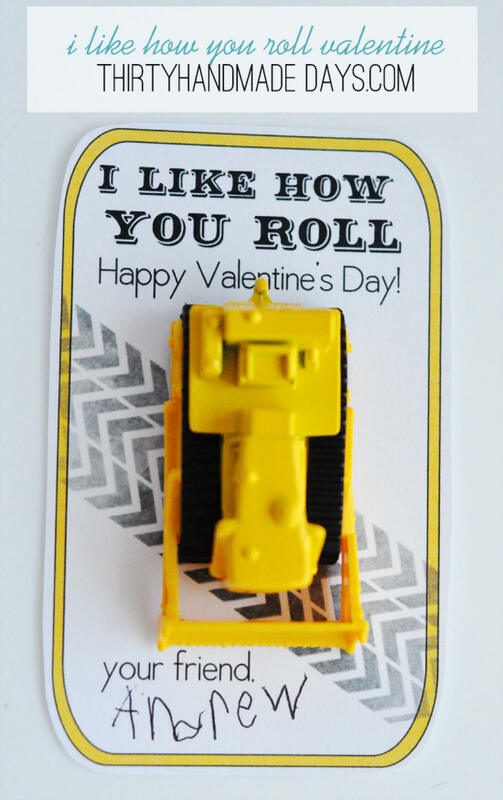 I printed the card, cut it out and attached a bulldozer with glue dots. Easy peasy! I love that it’s a “non candy” idea because those are also really hard to come by. I can find millions of Valentines day ideas that involve chocolate or treats but it’s so much harder to find anything that doesn’t involve food. Our school has a no- food rule (bummer!) and bringing in non food treats is really tricky. Great delivery. Sound arguments. Keep upp thhe amazing work. Ensure that any drawing markers, paint or crayons that you simply acquire are non-toxic. All the kids toys dont have the life, however, they would be alive and interesting when children play with them. I absolutely love these!! We have a cars birthday party coming up. Is there anyway I can gets these sans the “Happy Valentines Day” for party favors?? Love this! Thank you so much for all your ideas and all that you post! Thank you for sharing these cute Valentines. My son is going to love sharing these with his preschool class! 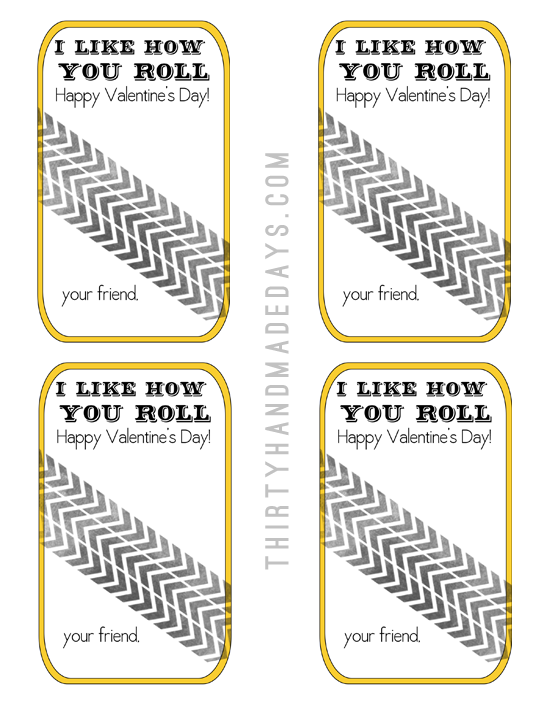 These are so cute – thanks for the great idea! Oh I love Alison- glad you stopped by from Oopsey Daisy. Thanks for the comment and for following! Such a great idea for boys! I am going to have to borrow your idea for my son’s preschool class. Thank you! Thanks Candace! Hope the preschoolers like it! 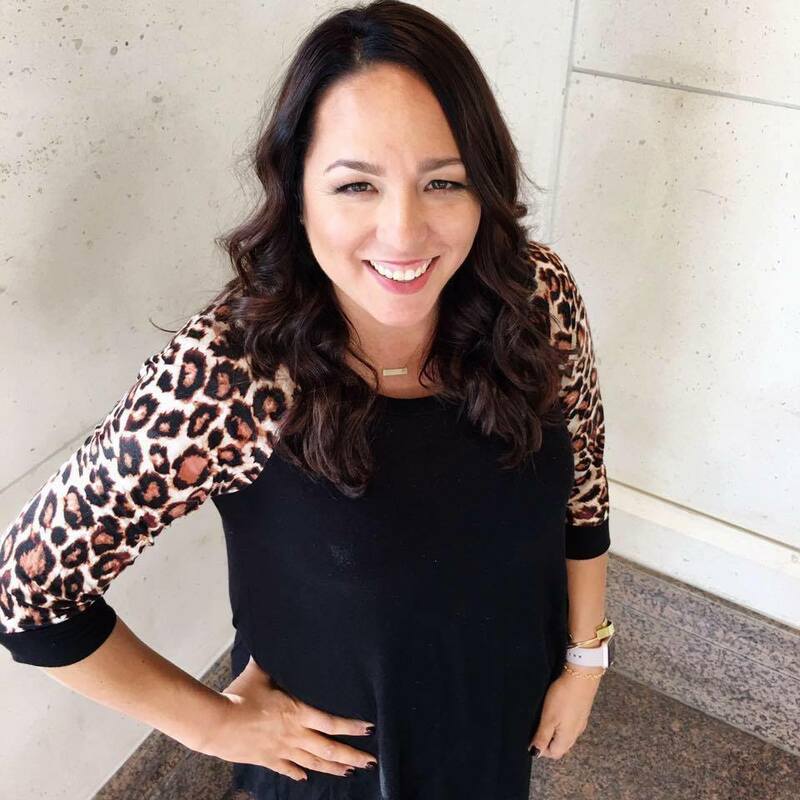 ps- love your new blog makeover! This is super cute! Love it!!! Just found your site. Love it so far. and the knife looks spectacular and handy. 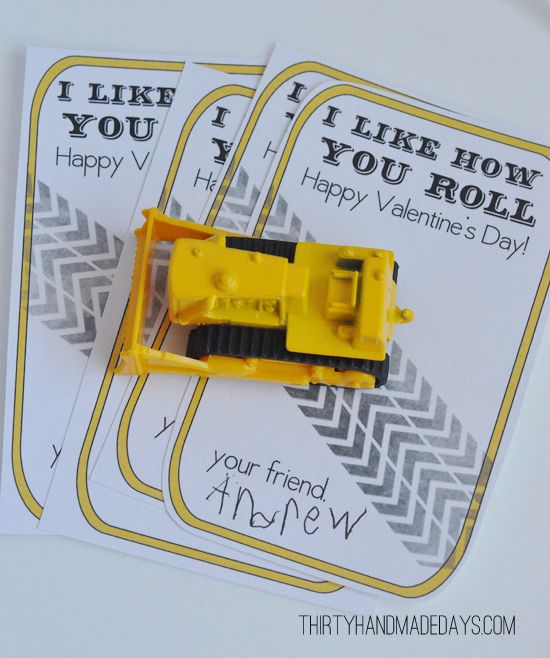 But love your printable messages and the ideas that go with them. I hate to spend an arm and leg for commercial cards. Your way of spending a penny or two for my own card and then buy a cute object to go with it makes more sense and shows more thought..
Love these! They are so perfect for my son. Thank you so much! Okay, these are SO cute! I LOVE the tire tracks. 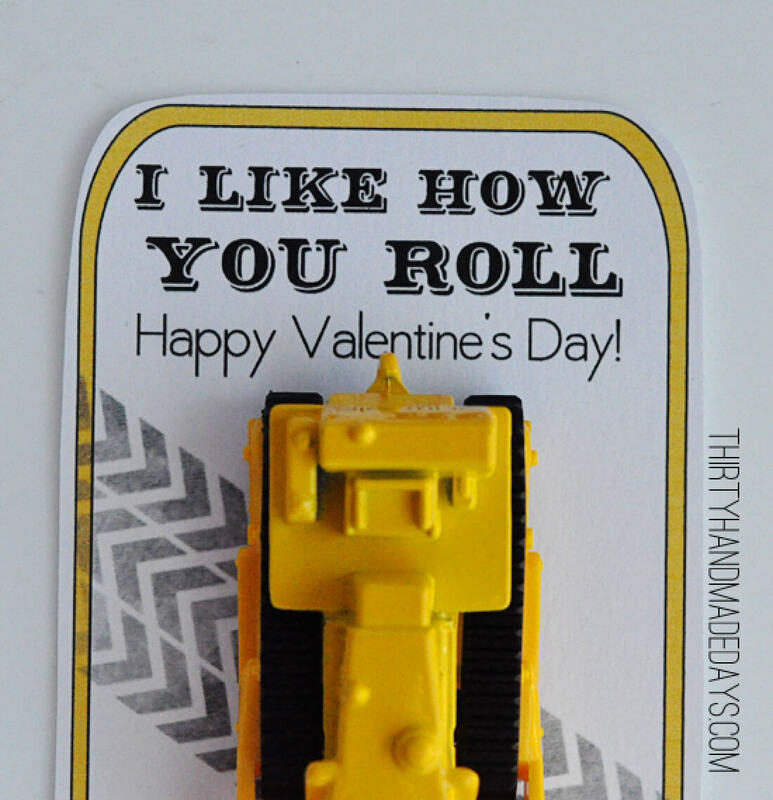 I’m sure your son’s Valentine will be a hit! 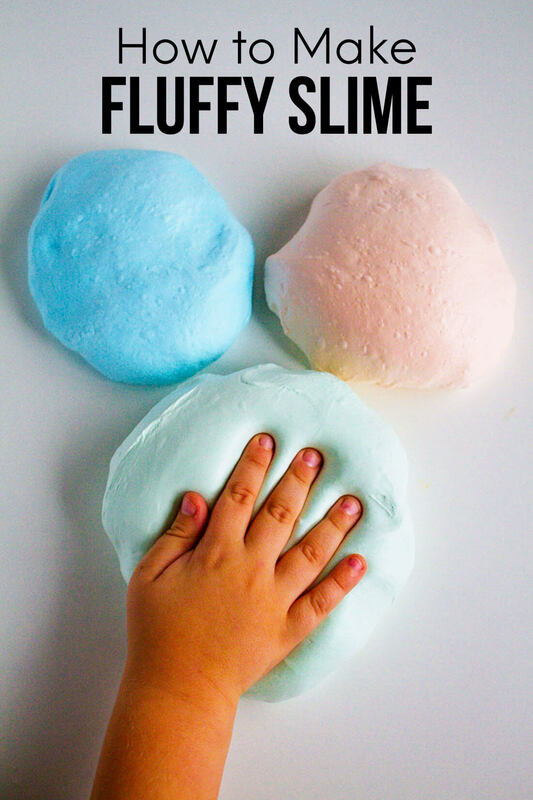 I’d love for you to pop over to my blog and check out the ones I made for my little boy — boys can be challenging, huh?? There’s a free printable, too, that your readers might like! All the best and keep up the great work! I love love love these!!! So cute. Love these! 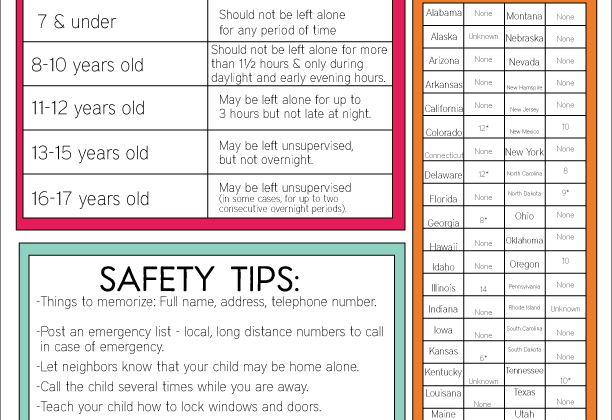 Definitely one of the best printables I’ve seen so far! What a great idea! I love how it is not your traditional pink and red. Thanks so much Tara Lynn! Tell me how it turns out with your husband. Josh still talks about it! So nice to have a good option that boys Wil love and most girls will like too!